SEATTLE, Washington — U.S. businesses, investors and foundations have invested in Africa’s renewables industry over the past few decades, yet current trends show that China’s economic influence and investment in Africa is far outcompeting U.S. initiatives. Many experts say that Africa is the frontier of economic development, and investment partners have the chance to build a greener economy. In the past, a typical renewable infrastructure project has created 600 to 800 local jobs. Renewable infrastructure only takes nine months to begin delivering energy to the grid, compared to the average of four to five years with traditional energy production. With these advantages, many companies are choosing investment in Africa. In 2015, General Electric (GE) awarded $100,000 grants to various African companies in an effort to bring 400 kilowatts of renewable energy to rural sub-Saharan Africa. Other companies such as Sunpower Corporation, the Geothermal Energy association, and Lumos are a few among dozens of U.S. companies that have agreed to work with USAID in the “Power Africa Movement”, which aims to deliver $40 billion in private sector renewables investment in the coming years. However, work on the ground has been slow to start. The U.S. initially planned to commit $7 billion to electricity development through the Power Africa program, along with $40 billion in anticipatory spending by private partners. Despite this, as of July 2016, the energy production from completed projects only amounts to 374 megawatts (MW). GE Vice Chairman John Rice said the program was well-intentioned, yet underperforming. “If you look today at the number of megawatts that are actually on the grid directly related to the Power Africa Initiative, it is very little,” he said. In contrast, the International Energy Agency estimates that between 2010 and 2015, China invested a total of $13 billion in renewable energy in Africa, accounting for 30 percent of the region’s renewable energy projects. Chinese investments from 2010 to 2020 will add 9,500 MW of energy production, and more than half of these projects are already complete. Electricity is an integral part of reliable public transportation, secure jobs, healthcare, agriculture and communication. The International Energy Agency has cited lack of electricity as the number one inhibitor to economic growth in Africa. 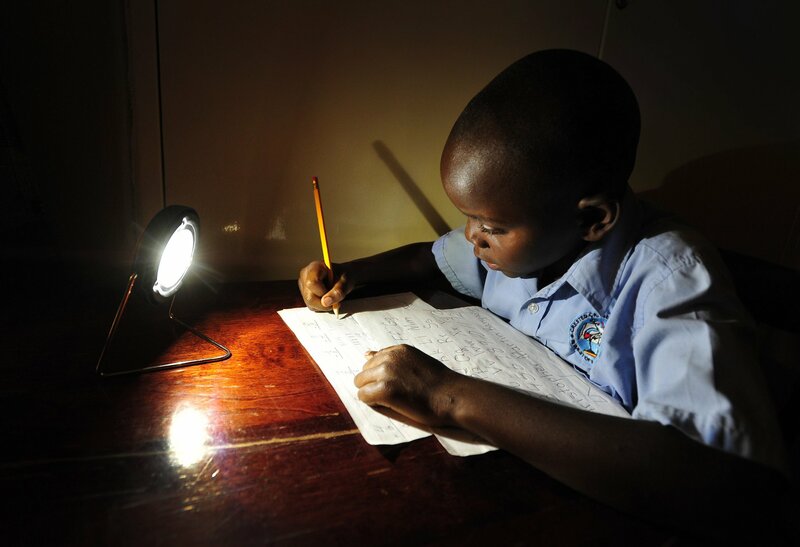 Yet today, only about 30 percent of Africans have reliable electricity. Renewables investment could be the key to building a cleaner and more promising future in Africa. Many African-based companies, such as BioTherm (the wind and solar power), Strauss Energy (solar roofing tiles) or Tropical Power Energy Group (biomass) are taking advantage of the bountiful opportunities to build a green economy. Africa needs renewables investment and the opportunities are there right now, the only question that remains is which nations and organizations will be there as a partner and a support.